Differentiating between Reversal and Continuation Patterns. Understanding when are they reliable and when they are not. 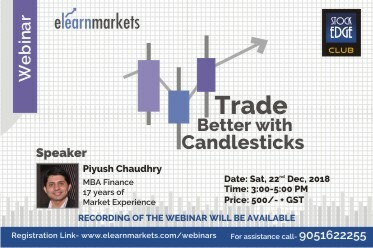 Mr Piyush Chaudhry is a founder of Wave Analytics, a firm that aims to be a pioneer in practising objective and scientific forms of analysis with defined parameters that generate consistently higher grade payoffs through superlative accuracy rates, shunning all and any form of randomness, with that being the underlying objective, they currently focus on Elliott Wave Analysis for both Short Term price movements as well as Long Term price trends and end-to-end Automated Trading Algorithms that work with zero human intervention. With an MBA in Finance and a work-ex of 17 Years in Stock Markets, Mr Chaudhry has seen several market cycles and is well-equipped to deal with the finer nuances of the Markets.